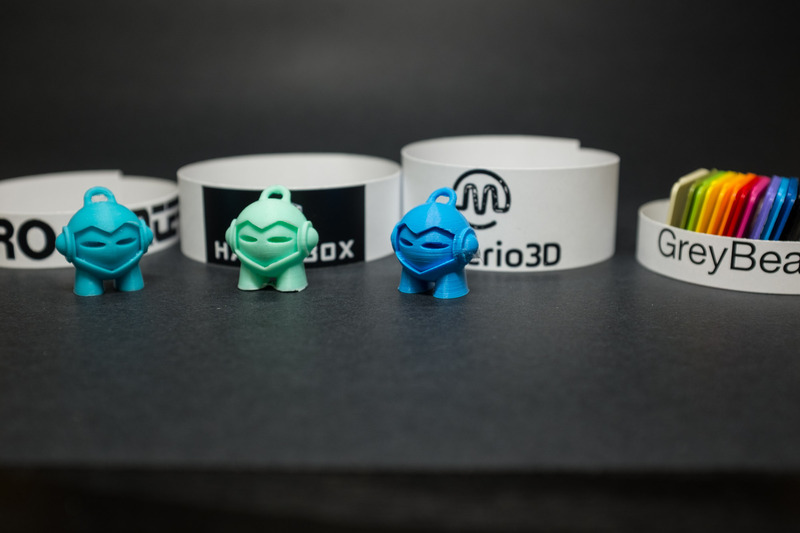 While called Azure Blue, this Materio3D filament is more of a deep sky blue color. Wow. Materio 3D is producing some of the nicest filament I have ever printed with. Not only are the colors well saturated but the selection feels curated by an artist. I can't wait to see their next color line. I've noticed Materio appears glossier than other PLAs. Perhaps its the NatureWorks Ingeo 3D850 polymer used by Materio 3D. 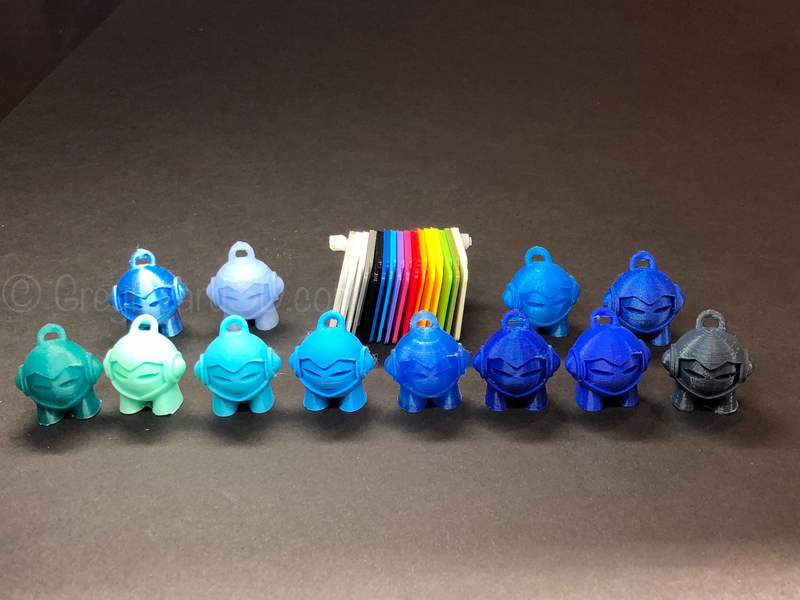 The prints come out really well and consistent however they may appear slightly over extruded. Tweak your flow rate if this happens to you. Materio comes on a plastic spool in 1KG sizes. 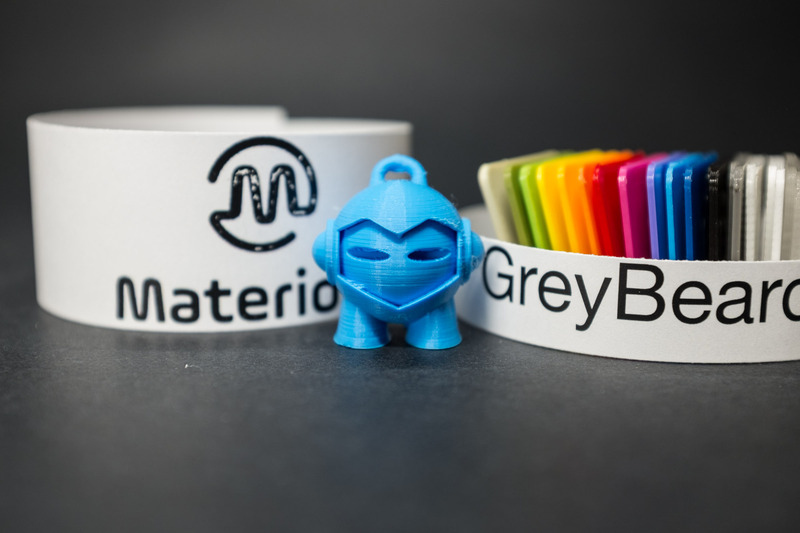 In the background of nearly every picture on this site you can see Materio3D colors. Not because I sold out, but rather because I'm a believer and having some form of color reference helps.